“Behind every great woman… is another great woman” might not seem like news for those of us in the LGBTQ world, but it’s kind of a groundbreaking tag line for a political comedy about the first female president. First Ladies, a new film announced by Netflix, will bring us a world in which the first female president is also a lesbian. 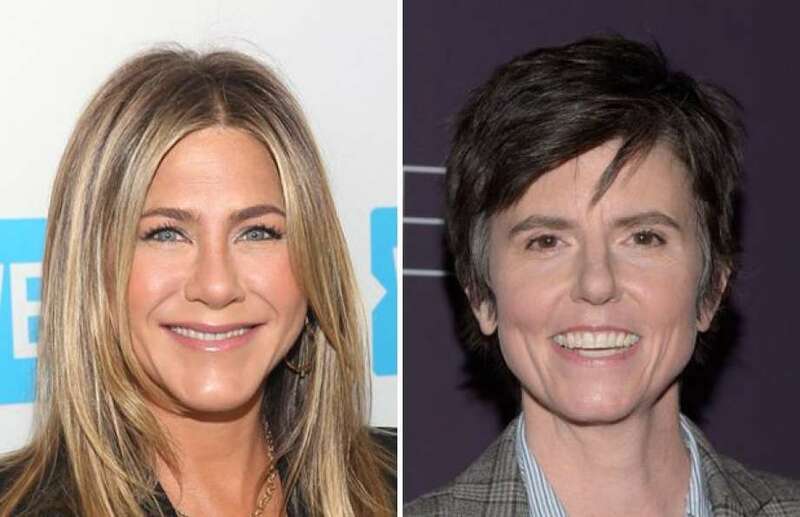 Not only is Tig Notaro starring in the film, as the First Lady to Jennifer Aniston’s President Beverly Nicholson, she also collaborated with her wife, Stephanie Allynne, on the original pitch, which went to Netflix when they came out on top of a “competitive bidding war,” according to Variety. Notaro and Allynne are slated to write the film, and are listed as producers along with Aniston, creative partners Adam McKay and Will Ferrell, and Jessica Elbaum and Betsy Koch for Gloria Sanchez Productions (a female-focused subsidiary of McKay and Ferrell’s Gary Sanchez Productions, the production company that founded Funny Or Die). Notaro and Allynne have previously worked together on the Amazon Prime comedy series One Mississippi, which was created by Notaro and Diablo Cody and featured Allynne as a writer on seven episodes. First Ladies is actually the third upcoming project that brings Notaro together with Netflix this year — her Netflix special, Tig Notaro Happy To Be Here, debuted on Netflix this week, and she’s also slated to direct the network’s upcoming Ellen DeGeneres comedy special. First Ladies should help deal with both these sorts of nagging issues and the continued lack of LGBTQ representation in film and TV today, especially for those who are not gay men. It definitely offers something to look forward to on your favorite streaming platform. Release date has not yet been announced, but once more details are available, we’ll be sure to let you know.